Amthor International announced Monday that it will add 30 new positions to its company. Photo courtesy Amthor International. Gretna's Amthor International announced Monday that it will add 30 employees to its first- and second-shift operation. The truck manufacturing company, which employs approximately 100 workers, will establish a training program at the center Virginia Technical Institute called Amthor University. All interested applicants for the 30 openings will be sent through the program for off-site training. "Everybody gets on-the-job training but not specifically in my building," Owner and Marketing Director Brian Amthor said. "I'm able to do off-site training and not affect my current production." The training will take about four to five weeks, lasting anywhere from 160 to 200 hours. Sessions covering welding, electrical, tank mounting and tank maintenance will begin Oct. 5 at the Altavista training center. The four courses will be staggered in start times, resulting in hiring taking place in October through November. If the job applicants make it through the training program successfully by passing standards and meeting attendance requirements, they will be guaranteed a position with the company. If a worker has high qualifications and experience in any one of the training fields, he or she may qualify to skip training and begin work. "We're looking for people to have the aptitude," he said, adding that attitude and willingness to learn are the main qualifications for an inexperienced or unskilled worker seeking a position. An added benefit is that the cost to participate in the program will be covered jointly by West Piedmont Workforce Investment Board and the Dan River Region Collaborative grant funding. The company is working on setting up a transportation program for employees, as well. Amthor expects to continue to use the training program as the company continues to grow. "I have a ways yet until I max my capacity. We're the fastest growing company in our industry," he said. "As long as the work keeps coming and we're continuing to grow, I don't see why I won't need this." It can be challenging to find the qualified and interested employees for the jobs available at Amthor. That's what makes Amthor University such a game changer for the company. "For what we do it's hard to find people that want to do what we do. We're not a bank or something that's simple, that's every day where you can work on computers. 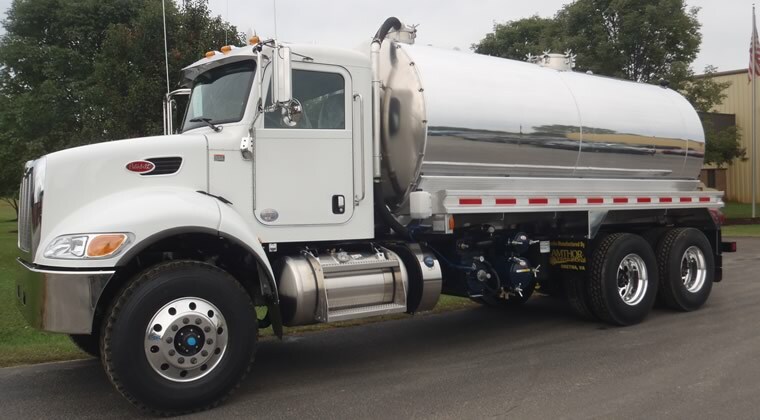 We're manufacturing and we're building oil trucks and tank trucks. Welding is a dirty job. It's maybe not as desirable as other positions out there. At times it can be rough," Amthor said. Despite the rough quality to the work, he said that the company's growing energy and handsome benefits package have attracted a great group of employees. He hopes this training initiative and hiring push will only add to the positive growth. "We're going to stay in Gretna. We want to continue to grow," he said. A news conference will be held at 1 p.m. Thursday at the Gretna facility, located at 237 Industrial Drive. New information —including more employee benefits — will be shared at the event.